The best throwbacks are the stories that made us smile, gave us hope and inspired us to help others! Here are a few that touched me in 2013. Batkid – How could you not be touched by this amazing story? Miles is just 5 years old and battling Leukemia (currently in remission). 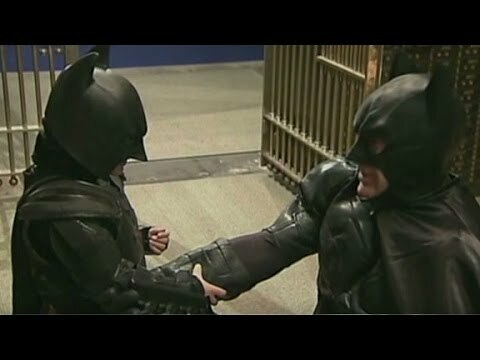 Make-A-Wish Foundation granted his wish to “fight crime” as Batman in “Gotham City.” 12,000 volunteers turned the streets of San Francisco into the crime ridden Gotham City and Batkid saved the day while inspiring millions on the internet. Buddy Benches – After noticing some kids not enjoying recess, second-grader Christian implemented Buddy Benches. The idea is if you are feeling alone, you sit on the bench and another child will come talk to you or ask you to play.